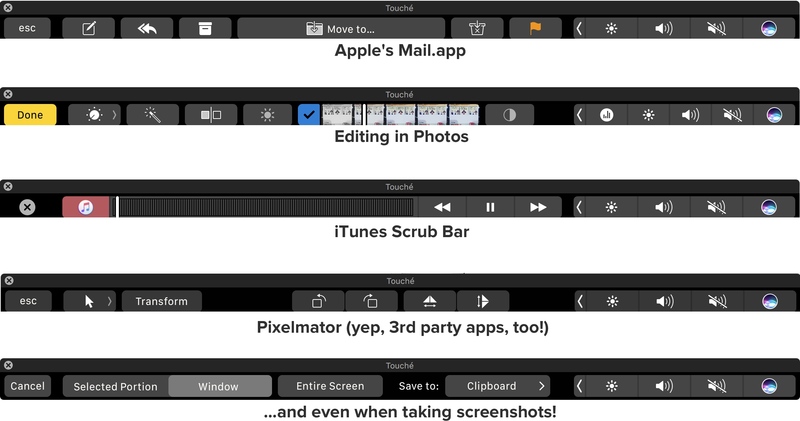 On Monday, Daniel Jalkut at Red Sweater Software released Touché, an app that shows a fully-functional Touch Bar on the screen of any Mac. Well, it’s fully-functional in that you can click on it, but obviously touching it won’t matter. While this won’t give you the full experience of having a Touch Bar, it certainly will let you see what you might be missing. Helpful, also, if there’s some functionality that might only be included in the Touch Bar going forward. Touché is available for free and runs on any Mac running macOS Sierra 10.12.1 (build 16B2657) and later.